I want to share an important story, an unbelievable story. I was labeled with a mental illness many, many years ago. I grew to believe through observation and interaction that I did not feel that doctors could be entrusted to give me good advice and properly support me. I spent many years of my life studying their perspective as well as alternatives. I put many things to work and experienced significant, possibly full recovery in my life. My friends were a big part of that healing journey. I have not been sick for more than 10 years now, and even before that my issues were not that significant or debilitating. In my late 30’s I became pregnant out of wedlock but decided to keep my child and planned for her through prenatal care and education of all kinds. 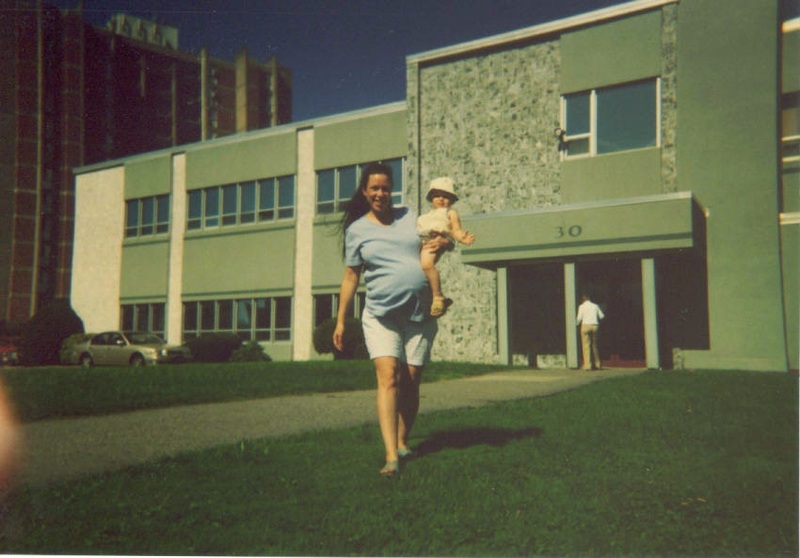 I was very open about the labels and mental illness or psychiatric issues which I had formerly experienced with the hospital where I had initiated my prenatal care. However I did move on to plan a home birth with a midwife because I desired to have a water birth which the hospital could not provide. Because my labor had lasted too many days I ended up back at that hospital where I had recieved care the first few months of my pregnancy. Monday morning when the regular staff came in for their shifts just a day and a half after my daughter was born and seemingly as a preplanned course of action the hospital came to my room and removed my daughter from my side, then called the state social service agency based on my former disclosures of having had a label of a mental illness which I shared with them so many months earlier and their knowledge that I did not take medications for such a thing, therefore for their personally imposed, uneducated, uninformed and bigoted belief that I was somehow being “irresponsible” for myself for not taking medications and thus was being so to my child, this without any sign of current mental illness at all and none in recent history including during my daughter’s birth. My daughter was taken from my breastfeeding body and from our room where I was lovingly taking care of her by the hospital staff and this was backed up by the social service agency who told me to go to the court to meet them the next day and thus to basically address their action there. Well, I am still fighting to get her back now, more than four years later, and her two twin siblings who were born and taken in an identical manner at thier births while I have been in an ongoing fight for them since becoming a mother in April of 2003. There are such extreme opinions in the world about mental illness and mental health. The court clincians had no respect for my opinions, through my observation and careful study, nor from my personal experience and personal sense of my own self. I became a non important party to their consult and their conclusions. I was stigmatized and reduced. My humanity set aside. My children have been suffering the seperation from me from the first days of their birth because of the disrespect aimed at people with labels, or people open about once having carried them. I was open, as a means to educate, and I was attacked as somehow what I was teaching threatened those who do not believe in my message. That medications are a personal thing, that all those labeled with mental illness might not actually suffer it, that there are errors made all the time, and that even in the case of true mental illness, if it exists, one can recover from it, one can be healed, and in the arena of “treatment” it is and must always be, a personal choice. My story is about my lawyers and my friends whom have loved me and supported me so that I can still see this matter plainly for what it is. I still reach out everyday to share my story further and to hopefully join hands with others who might experience similar harms or even perhaps who might be in a position to lend a hand to help. I saw Brooke Shields on The View today and I longed to be able to describe the relationship between my three wonderful children, but I can’t, since I have been fighting for them since birth and they live in two seperate homes seperated from each other and seperated from me indefinately. I am reaching out to you Ms. Shields, and recalling the issue with psychiatric medications discussed so emotionally between you and Mr. Cruise. I personally do not use psychotropic medications but I have been seperated from my family as a result of that choice for years, seperated from my own children, and many years previously seperated from my parents and my siblings because of their inability to respect my choices and to be respectful to me despite that I had had the misfortune of being (at one point) “labeled” with a mental illness. I have consulted with world class experts since who agree that I do not suffer a mental illness, but still the social service agency in our state will not return my children, they will not even return my calls, nor that of my doctors or any requests for a meeting to resolve their wrongful actions in our lives. Taking medication or not taking medication is a personal choice, no one should try to say that their answer is right for everyone. It is a crime what took place in my life in this regard, and it is crime when people’s rights to raise their families are interupted for such ignorance and imposition from the outside. It takes all kinds. My friends and physicians know me for what I can do, and never lost confidence in me this entire time. I reach out to this online group asking for support, for prayers, for love, for your stories to be told as well, can you share, can you help? I would love to build a support group on this important issue, raising your children is a constitutional right and no one should be denied this because of the ignorance or imposition of a non-involved person’s mind. I need love and support from a bigger circle than my small family and friends, as wonderful as they are, because I have been the sad recipient of so much hate and destruction from people I do not even know. People who think they can read the DSM-IV for or the DSM-V or whatever, as a replacement for knowing me and then make life changing decisions about my family and my life on nothing more than that, forcing me to fight their whole lives so far for what God had already given to me through the precious gift of their lives. I hope that Ms. Shields and Mr. Cruise would read my issue and consider contacting me to learn about another way that these particular philophical issues can become life changing and horribly disruptive, when we are out here living them in a world where notoriety is not always there for us as an available spotlight for resolve. Thank you for hearing my story. I want to invite communication on it from anyone. Thank you. This is a matter that needs healing for everyone, family is the most meaningful fabric of our personal and communal lives.